Last summer we only went away for a month – which given when Ramadan fell meant we then had 8 weeks of school holidays summertime in Abu Dhabi. Which meant i needed a number of projects up my sleeve to keep a 4 and a 2 year old occupied when we couldn’t go out cos of the heat, couldn’t eat out cos it was Ramadan, and couldn’t have friends round cos they were all away!!! I thought I’d share a few that I found I’d taken photos of – and I’d love it if you’d share some of your favourite projects either in the comments or over on my Facebook page. 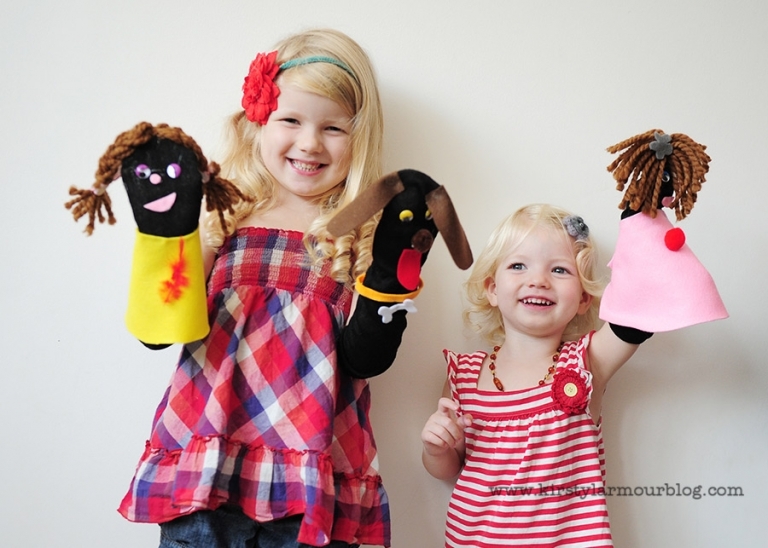 First up, that old favourite, Sock puppets!!! We saved the socks you get given on Etihad flights and used felt and wobbly eyes (found at Jarir bookshop in Mina or Green Branch on Electra Street) and spent a couple of mornings decorating sock puppets and then doing puppet shows. I’d made the Princess crowns for the girls for their birthdays last year so we made the wands from the leftover felt. Dowel came from Ace Hardware who also cut it down for me, and ribbons were ones I had at home, (but Maliks behind the gold souk has lots of ribbons if you need them). We sewed around the edges of the stars, and left a small opening to put the dowel into. You could so easily do this with hearts or something else instead. 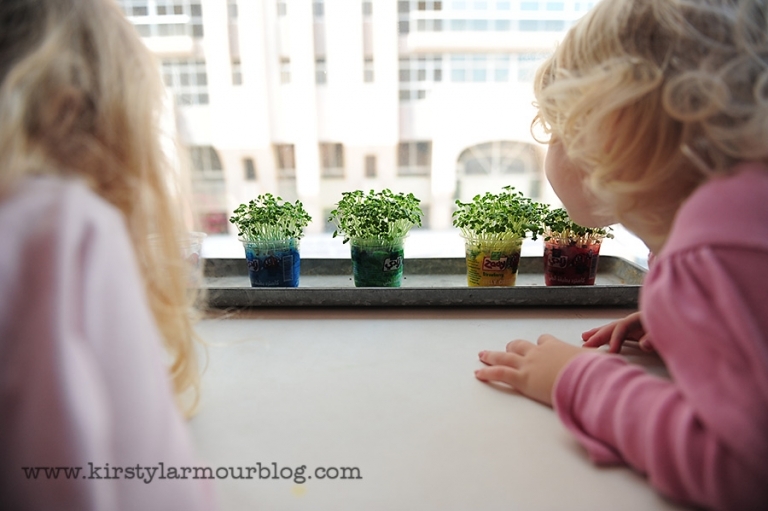 Super easy – cotton wool in yoghurt pots or similar, add water and food colouring, sprinkle with mustard seeds (available loose in Carrefour) and water daily – the girls were fascinated to see if they’d grow the different colours in each pot! I bought the letters in the UK but you could make them out of papier mache I guess. We spent a couple of mornings painting them and then “vintage-ising” them with newspaper!! Super easy, lots of fun (ripping up all that newspaper!!) and you can see them used on a shoot here! Living in a flat we just can’t keep everything Saffy brings home from school – and although we rotate the artwork on display fairly regularly we still don’t get through all of it. So we spent a morning photographing all her best artwork from the year and then made them into a photo collage (or 2) which we then printed out and put into her memory book. A great way of saving all those precious pictures without taking up lots of space! Last but not least, going back through my pics it seems we also spent a lot of time on the sofa in our PJ’s watching DVDs!!! Louise - Love the ideas – will try to think of some to share – and how much has Indy grown in a year???? janine - awesome ideas. you put me to shame LOL. LOVE the multi-coloured seed growing and definitely the PJ’s and DVD action! cuties!! © 2019 Kirsty Larmour Photography – Lifestyle Photography Worldwide|ProPhoto Blog Template|Design by Northfolk & Co.